If you live in the United Kingdom, or are involved in transactions in that area, chances are you’ve heard of the BACS and CHAPS modes of payment. BACS stands for Bankers Automated Clearing Services, and involves a fully automated way of collection and payment. Transactions involving salaries, loan repayments, supplier payments, and Direct Debits can be completed via the BACS mode of payment. Another important feature of BACS is that it is supported by many Umbrella Companies. Take note, however, that you’ll have to wait three to five working days for your BACS transaction to be completed – this is the main drawback of BACS. 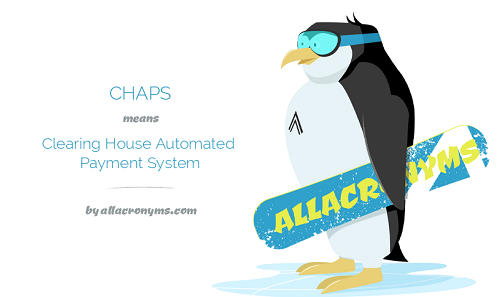 For those who need their transactions concluded as soon as possible, the CHAPS, or Clearing House Automated Payment System, is available for use. CHAPS is a bank-to-bank electronic payment scheme which ensures that the money will be received on the same day, as long as it is transferred before three o’clock in the afternoon. However, the downside of CHAPS is that it charges a fee for every transaction. This is the price for the speedy conclusion of your transaction. Now that the difference between BACS and CHAPS is clear, it’s important to know when you should favor one of these forms of payment over the other. If you’re sending a payment to one of the Umbrella Companies on a normal, not-so-urgent transaction, consider using the BACS mode of payment to avoid transaction fees. If, however, you have a debt or bill that is due on the same day as your transaction, then you would have to utilize CHAPS instead to insure that the transaction reaches the recipient instantly. Choosing which mode of payment to use at a given time can spell the difference between profit and loss for many business institutions. Both modes of payments protect your money; the amount just gets transferred from one bank account to another. Some banks even provide a maximum insurance policy for every BACS or CHAPS transaction. The best mode of payment is still BACS, since it does not involve any expense. However, when using BACS, the transaction should ideally be stated several days before the date of payment to avoid inconvenience for the recipient. Both BACS and CHAPS help you keep track of your transactions by recording each deposit or deduction in your bank account. Using either mode of payment helps you trace your expenditures, allowing you to compensate for future transactions. There are also banks that offer additional incentives based on the frequency of your usage of either the BACS or CHAPS mode of payment. If you make a lot of transactions within a month, banks help you manage your BACS or CHAPS payments. They offer special promotions whenever you use that mode of payment so that they can facilitate faster payment collection and cash or credit turnover to the recipient. BACS, or Bankers Automated Clearing Services, facilitates transactions from one bank account to another free of charge. However, BACS transactions take three to five banking days. CHAPS, or Clearing House Automated Payment System, is also a form of inter-bank payment. Unlike BACS, however, it can conclude a transaction instantly, allowing the recipient to receive cash or credit on the same banking day the transaction was entered. 3 PM is the cut-off time for CHAPS. The downside of CHAPS is that it charges a certain amount per transaction as a fee. One must choose wisely when to utilize BACS or CHAPS. The major factor to consider would be the urgency of the payment – if the payment needs to be concluded as soon as possible, it would be better to opt for CHAPS instead of BACS. Celine. "Difference Between BACS and CHAPS." DifferenceBetween.net. July 6, 2017 < http://www.differencebetween.net/technology/difference-between-bacs-and-chaps/ >. Simple wordings with very clear understanding of the both payment types. Thanks.